Nucleic acids are the fundamental building blocks of DNA and RNA and are found in virtually every living cell. Molecular biology is a branch of science that studies the physicochemical properties of molecules in a cell, including nucleic acids, proteins, and enzymes. Increased understanding of nucleic acids and their role in molecular biology will further many of the biological sciences, including genetics, biochemistry, and cell biology. 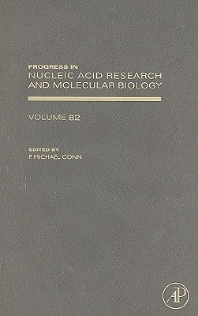 Progress in Nucleic Acid Research and Molecular Biology is intended to bring to light the most recent advances in these overlapping disciplines with a timely compilation of reviews comprising each volume.